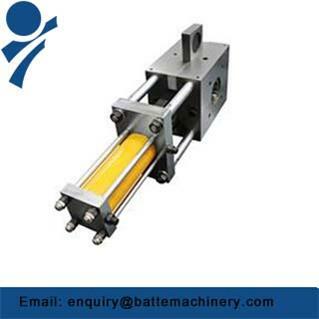 Self cleaning flow Screen changer allows each screen to be re used to result in significant reduction in screen and labor cost. 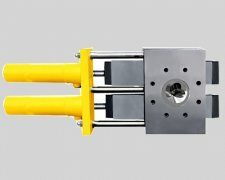 and screen changers for polymer melt filtration replacement is done without interruption of the screen changer for recycling processes. 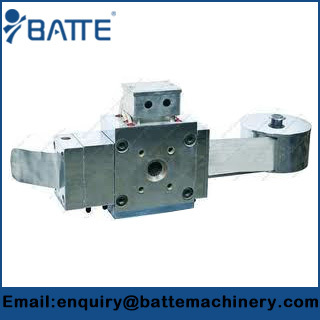 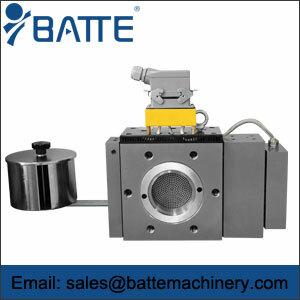 Four-cavity screen changer for recycling Process in order to change the filtration screen, the screen cavity in the bolt can be moved out. 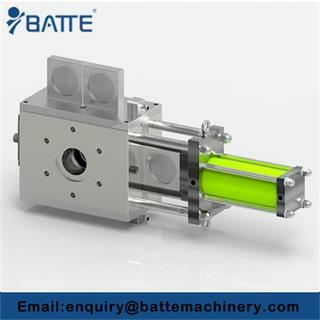 melt flow from the extruder splits into four streams for filtration in two pairs of screen cavities.So is is also be called four screen cavities screen changer. 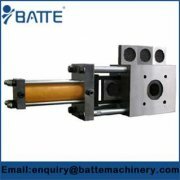 Change screens for extrusion machine Batte screen changers can be used with various types of imported or domestic extruders for plastics drawing.The Continuous Screen Changer allows for filtration of most all polymers without interrupting production during a screen change.There is no disruption or interference of the production during the screen changer. 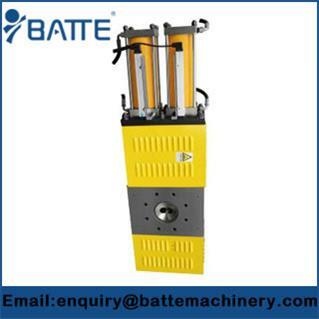 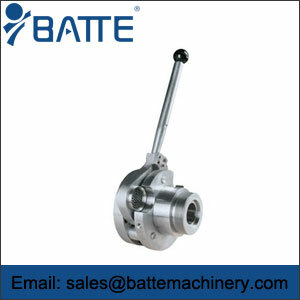 Wire mesh screens changer used in most extruders, are usually square mesh The purpose of wire mesh screens is to filter out contaminants and also to build up pressure in the extruder. 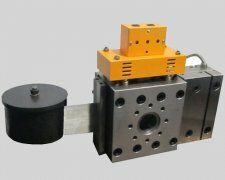 Continuous screen changer for recycling processes is a compact, self-contained screenchanger that eliminates the need for hydraulics, screen packs, and breaker plate cleaning or replacement.In plastics extrusion, having the right screen changer for your material’s filtration requirements can make the difference between profit and loss.